Blend all of the ingredients for the burger ’meat’ until the consistency is crumbly. Form into patties and dehydrate for 4-5 hours at 115 degrees, or until they reach your desired consistency. These can also be eaten straight away, without dehydration. If you are like me then you know that avocado is good with pretty much everything. You live for it, eat it daily & never think twice about paying extra for it at Chipotle. That is why you need a RAW FIESTA BURGER in your life. 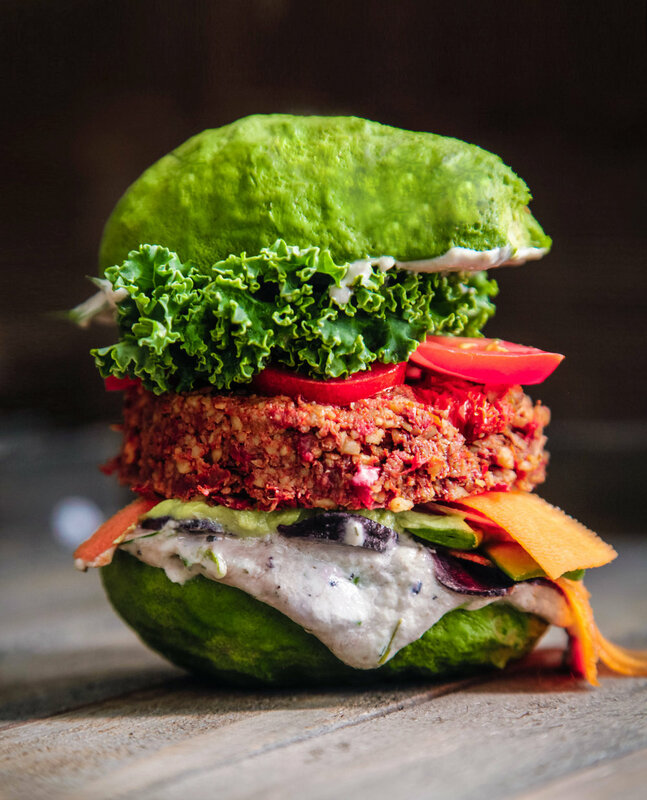 No, avocado may not be the most practical vessel to hold your burger & toppings, yes, it may be messy, but it is delicious! This is a great way to substitute bread & add some creamy goodness to your meal. Be prepared to get your hands dirty & dig in!